With our ambassador Neill walker from Northern Ireland, we decided to set a write up about Tenkara fishing, the differences with a classic fly fishing method and also the particularity of practising tenkara fishing in Europe. It gives the freedom to get back to basics and the opportunity to fish places that need room for casting. Tenkara fishing is a new opportunity to learn new skills and to increase knowledge especially about the fish behavior. 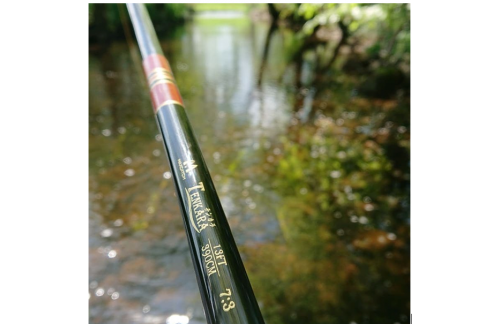 The simplicity of the tenkara rod means that you don't need to worry about what lines you have with you or reels all is need is a length of nylon /fluorocarbon, you don't need to worry about threading a fly line through any guides. Tenkara is more minimalist, it could be seen as an heritage of old fishing methods that the men knew many years ago. it is really easy to walk the river banks without the worry of snapping the rod as it compacts down to a manageable tube size. The tenkara system is also great as you don't have to worry about which line to choose.